For the last ten years, every year from the end of November to the beginning of January, Hyde Park transforms into a magical Winter Wonderland. 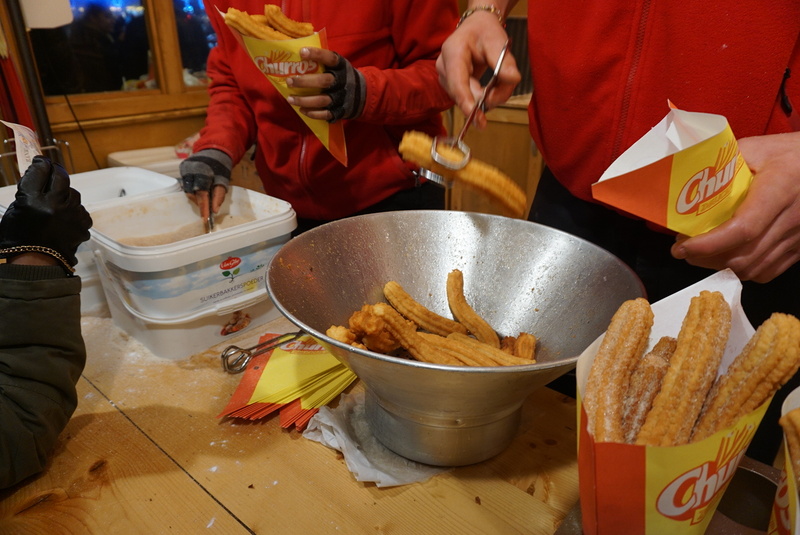 There is so much to do ranging from ice-skating, to visiting the circus, to going on rides and of course, my favourite part – eating amazing food! 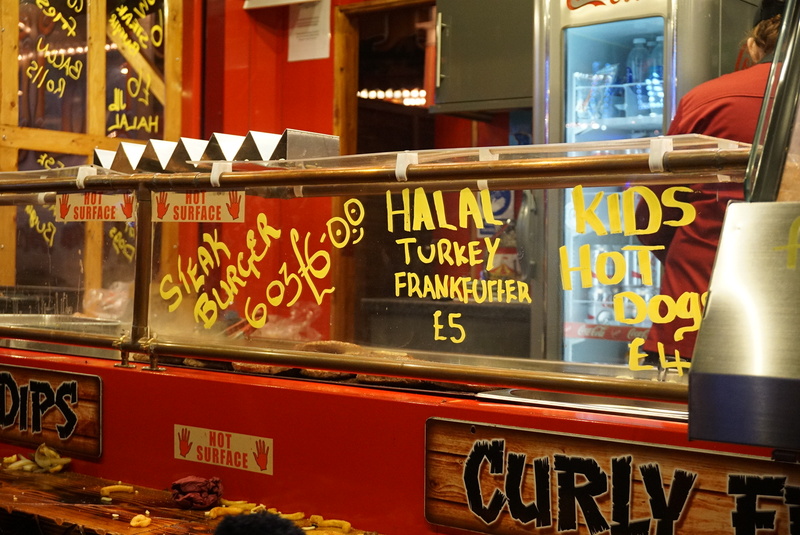 There are numerous halal food stalls at the Winter Wonderland; it really is extremely difficult to choose something to eat. 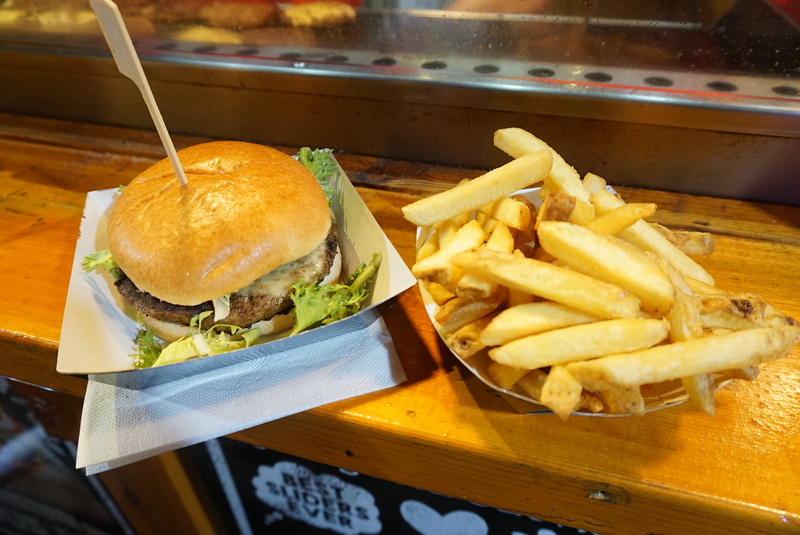 Lucky for you, I happened to eat a lot of food when I went last weekend and I’m here to share it all! I’ve also copied and pasted a map of the Winter Wonderland below and have tried my best to remember where each stall is to make your life easier! I don’t know about you but I always get lost when I’m there haha. 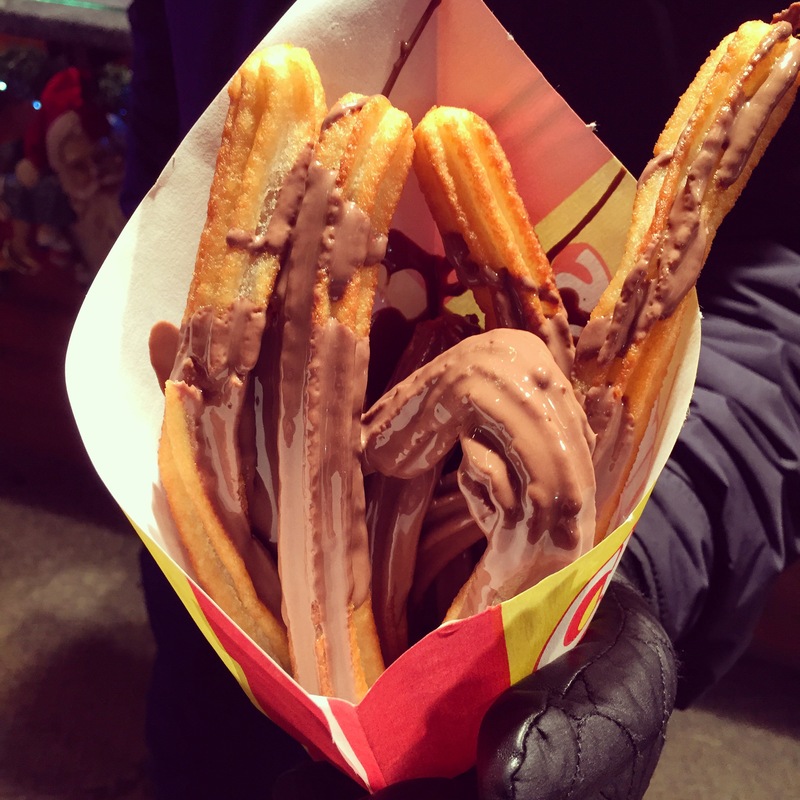 My favourite item at the Winter Wonderland has got to be these churros. They are THE BEST. 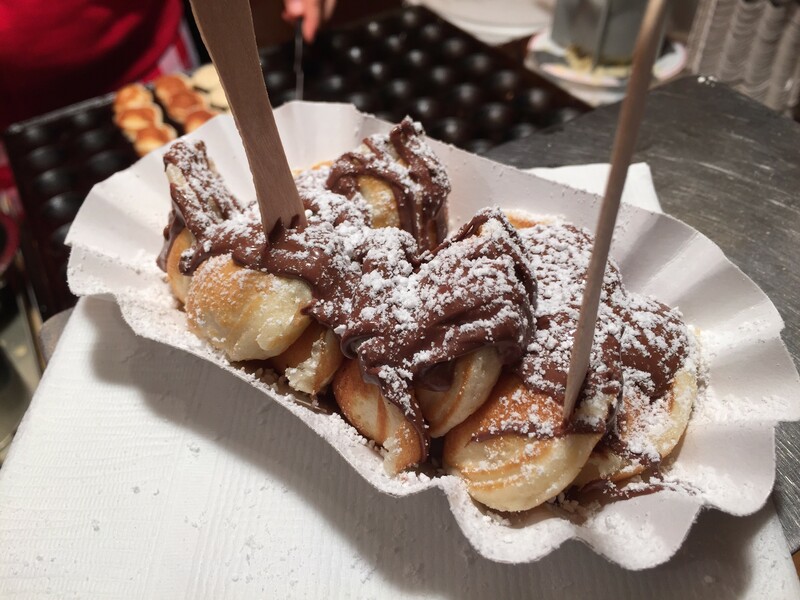 Deep fried golden Spanish doughnuts, rolled in cinnamon and drowned in chocolate. They’re crispy on the outside and soft on the inside. Do not leave without having these! I got them covered with nutella and topped with icing sugar. It was freezing and this was the perfect snack to warm me up and get me ready for my next treats. I may have also tried the white chocolate ones too! 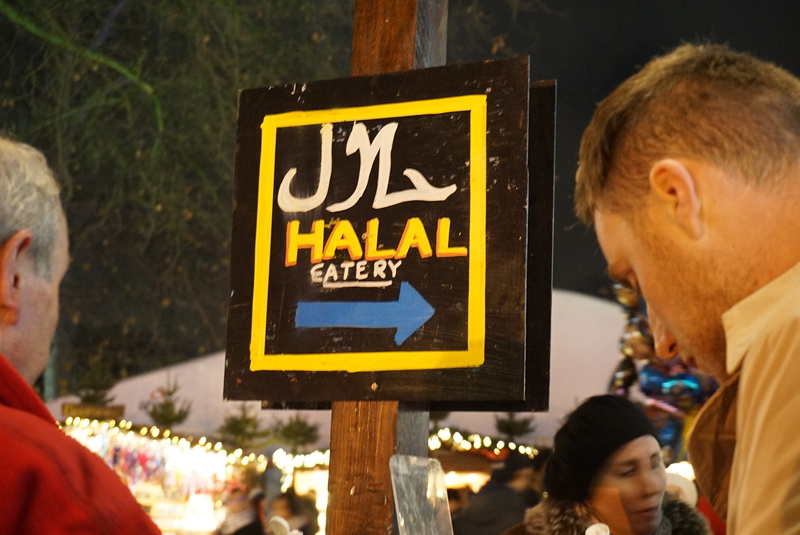 This year, halal food options were almost everywhere at the Winter Wonderland and I felt so happy to see so many options for us! 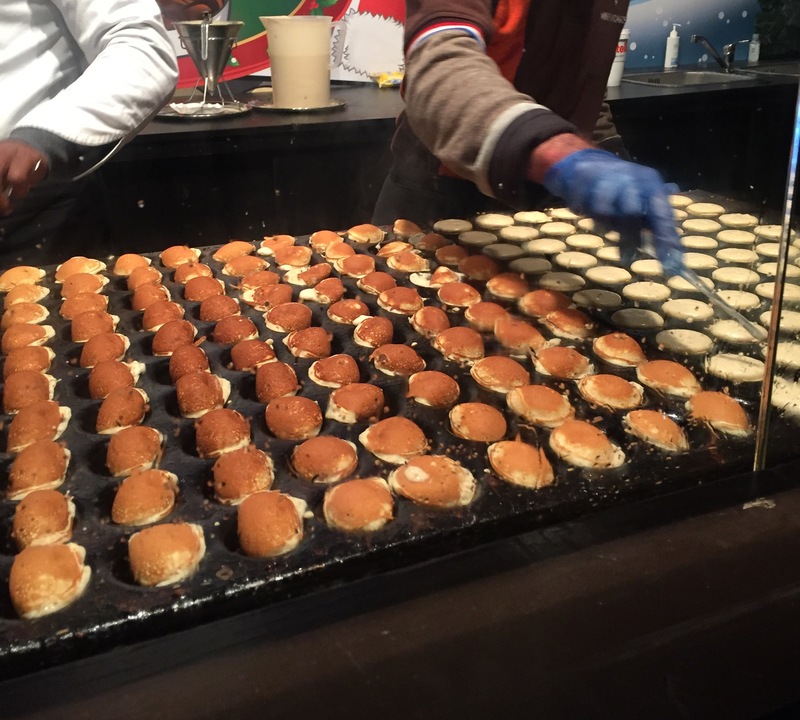 Expect cooked frozen patties rather than fresh gourmet burgers. These were from a stand called Slider Burgers. Not the best, but when you’re freezing cold and you want a warm meal it does the job! I had a huge grin on my face as I watched these being freshly made. Given all the food I had eaten, I dough-nut know how I had room for these but I did! 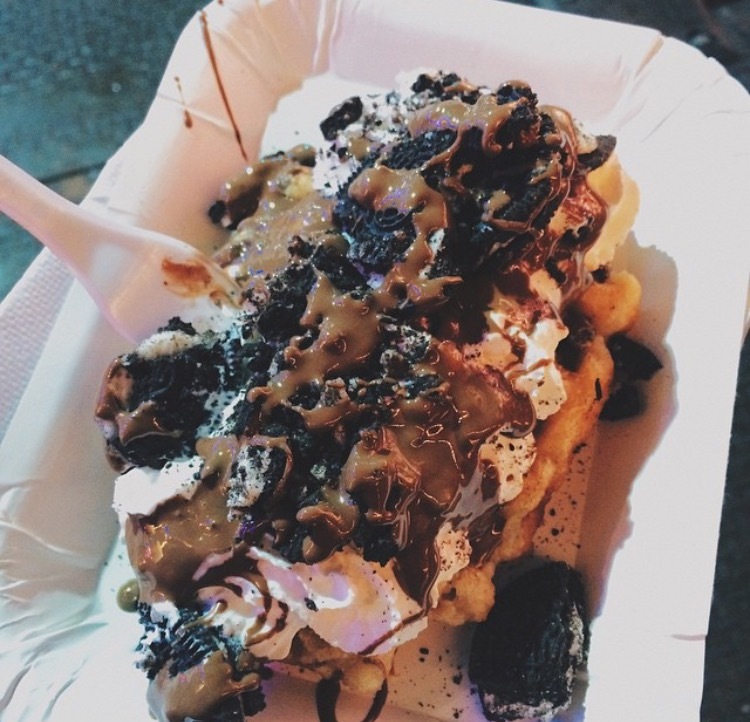 The hardest decision to make at this stand was deciding which toppings to get. After a long and tiring debate with my friends we finally settled on cookies and cream with a drizzle of warm gloopy chocolate. I can happily say we made a good choice! That’s a wrap! 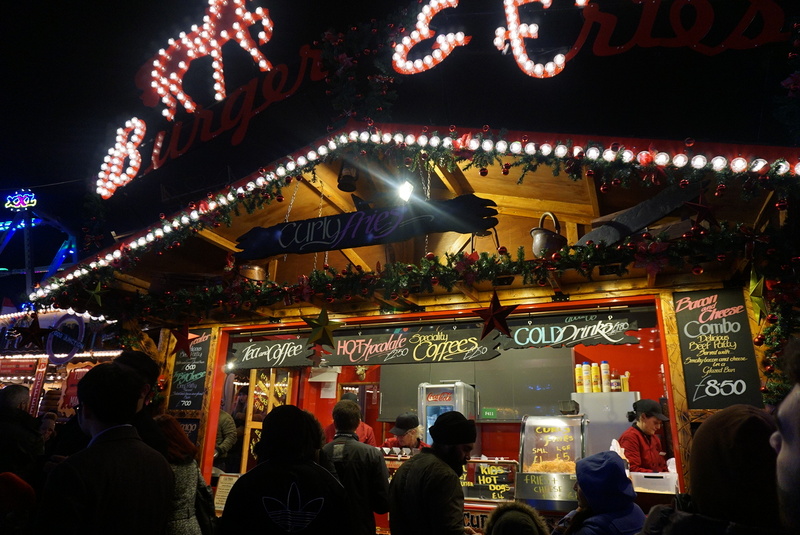 I had an amazing evening out and will definitely be revisiting Winter Wonderland for more food before it ends. 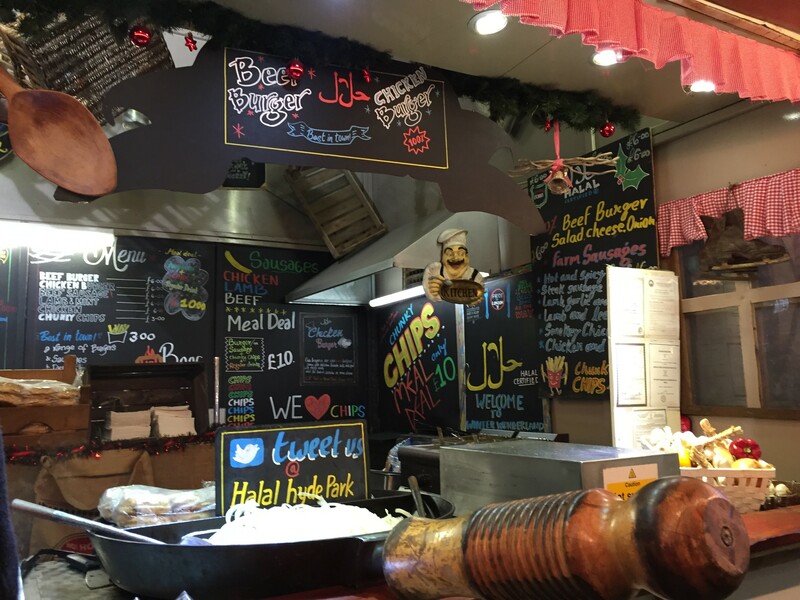 Be sure to check it out and try out the delicious food they have! 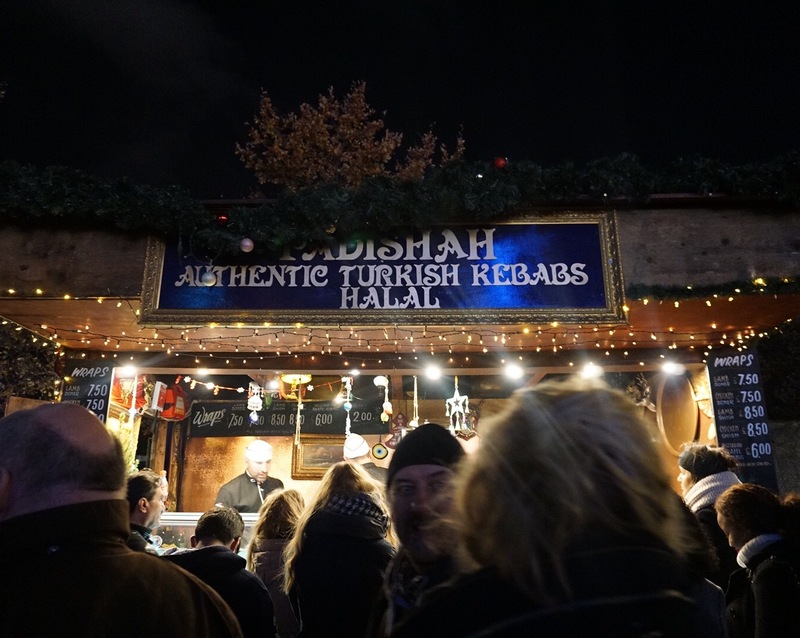 Overall 8/10 – Delicious food all in one place! Aslaamu Alaikam any of the stalls HMC? Wsalaam I believe number 3 and 7 mentioned are, however I would double check at each stall when you visit. Wow I love your blog. It’s so amazing. Hello there i noticed you didn’t mark No 7(hot dogs) on the Map. Have you seen them in 2016 ?